Living beings are often thought of as nature’s machines: perfectly sculpted functional works of art that contain all kinds of intricate mysteries. 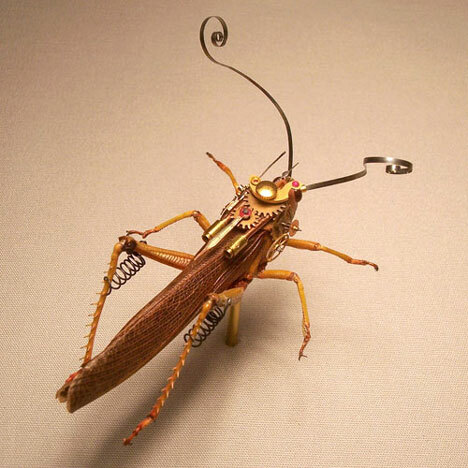 Mike Libby puts a literal spin on that comparison in his “Insect Lab” creations. 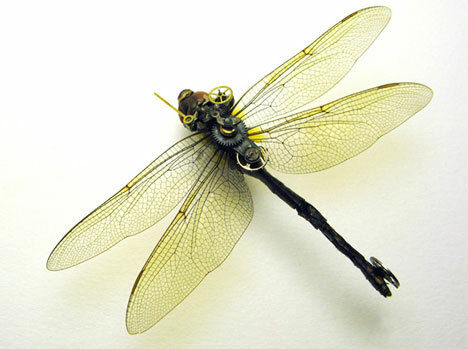 He turns real insect specimens into tiny works of art which meld nature and technology in incredible ways. 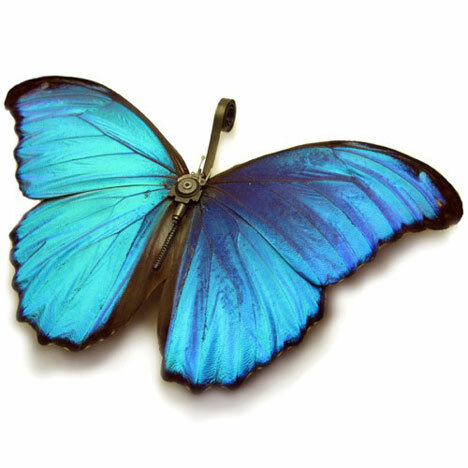 Starting with non-endangered insect specimens from all over the world, Libby combines them with bits and pieces of mechanical and electrical components to make strange cyborg bugs that look like they could get up and scurry off at any moment. 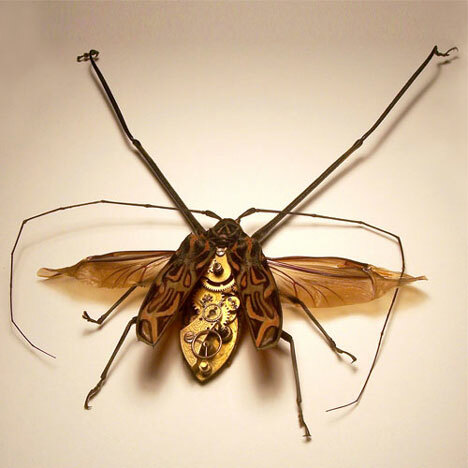 Libby was inspired by countless sci-fi depictions of insects as robotic creatures. 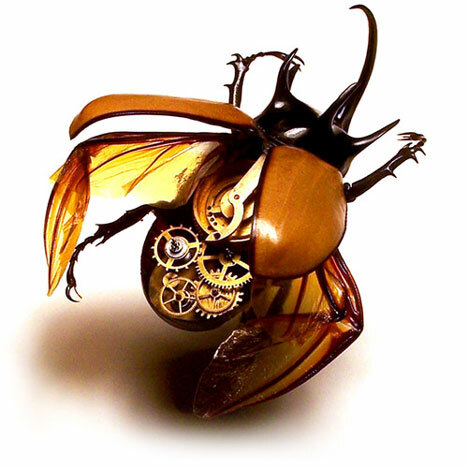 He draws inspiration from nature as well, noting that beetles and bumblebees often look like they contain their own unique type of mechanical system. But even more than nature or science fiction, Libby takes his cues from technology. Every day, scientists and engineers work on machines that mimic nature: tiny robots that swarm like roaches, personal protection-bots that double as tents, and even small flying machines that act like seeds. The artist doesn’t suggest that his creations could move or take on a life of their own…he simply hybridizes nature and technology to explore the parallels between the two in a strangely beautiful fashion. See more in Cybernetics or under Technology. January, 2011.